Through the program we aim to use the city of Athens and the surrounding areas as a classroom at the best season of the year. 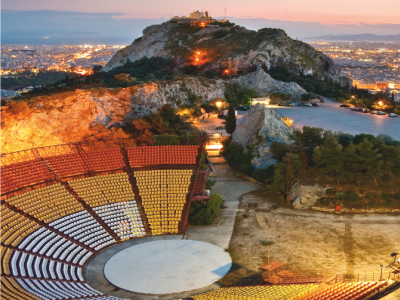 Athens, the capital of Greece, was first settled in the Neolithic age. 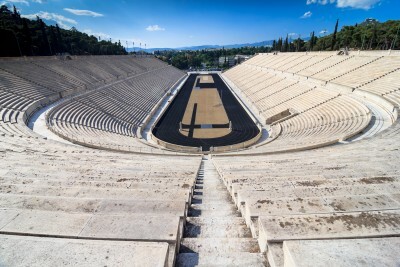 In the 5th Century BC (the “Golden Age of Pericles”) – the high point of Athens’ long, fascinating history – the city’s values and civilization acquired universal significance. Valuable sources of silver and marble and superior naval power the city attractive and wealthy. 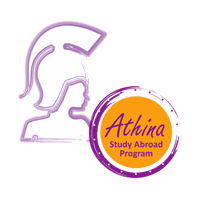 During the golden ages, Athens blossomed as a center of education, arts, culture and democracy. Much of the town’s historic center has been converted into a 3-kilometre pedestrian zone (the largest in Europe), leading to the major archaeological sites (“archaeological park”) and revealing the ancient cityscape. Athens is also a contemporary city. It has a traditional commercial neighborhood, with more than 2,500 shops of all kinds, which spreads out from Ermou Street (the city’s best-known commercial thoroughfare). The western “border” of the area is Athinas Street, where food shops are concentrated, reminding one strongly of the Middle East. In this area are situated the neoclassical mansions of the Town Hall, the Municipal Market (where meat, fish and vegetables are sold) and spacious Kotzias Square. 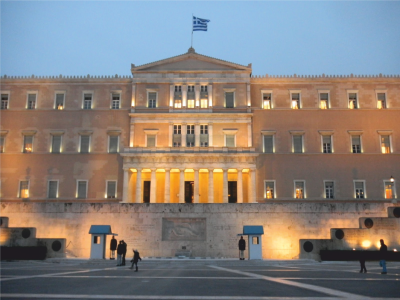 Syntagma and Omonia are the main central squares of the town; they are linked by Stadiou Street and Panepistimiou Avenue, along which some of the town’s most beautiful Neoclassical buildings have been erected. Close to Syntagma square is Kolonaki, the most “aristocratic” area of the center of Athens, where you find many shops selling expensive brands and high couture, modern restaurants, bars and cafés, while it is worthwhile to take a stroll through the central streets with their art déco, art nouveau and interbellum buildings. 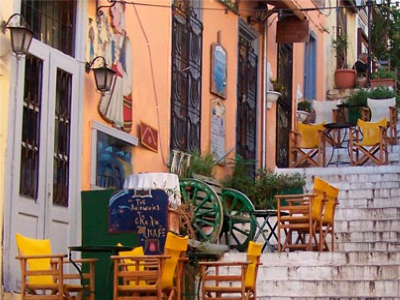 It’s not uncommon for the nightlife hubs of Kolonaki, Psiri and Gazi to stay busy until dawn. Cultural events including concerts, recitals, dance and theatre, as well as international trade shows, conferences, and symposia, public lectures, gallery exhibits, sports events and marathons, are an integral part of life in this bustling, cosmopolitan city at the confluence of Europe, Asia, and Africa.